When building a home or commercial property, the roof is among the most important components that must always be given proper thought. Even after erecting the roof, you will still need to give it proper maintenance in order to serve you better. A well-constructed and maintained roof can always help you avoid a lot of inconveniences and losses. Waiting until the roof encounters a problem will only leave you with huge maintenance and repair costs. Besides, a damaged roof can also put the occupants, their belongings and the entire structure at greater risks. Although there are various options for maintaining a strong and safe roof, relying on a roofing work professional can always spare you a lot of hassles. At Waterproofing Singapore, we specialize in professional roofing work and, can always deliver tailor made solutions to all kinds of roofing systems including, metal roofs, pitched roofs and tile shingles. We offer a wide range of roof services to enable you get just the right fix for all your roofing needs. Our roof services cater for both residential and commercial buildings across Singapore. There are various kinds of problems that can be experienced in roofs including, roof leaks, and dents among others. Whenever these problems occur, it is always advisable that they are fixed right on time before they develop into bigger issues. And, it is only with us that you can always get the best roof repair services to keep it in a better condition. In fact, there are several kinds of roof repair works that we can offer based on the particular problems being experienced and your needs. While conducting roof repair, we are always very keen on delivering tailor made solutions so you are not faced with the hitch again. Our company has a team of roofing specialists with greater experience in roof repair to always provide the ultimate solutions. Besides, we use high quality roofing materials that are durable, safe and, also affordable. Despite the size or condition of your roof, we have the expertise to always deliver lasting repair solutions. Instead of struggling to save large sums of money for a new roof, our roof coating services provide a more cost-effective option for prolonging the lifespan of your roof. We offer high quality roof coatings that can effectively cushion your roof from the impacts of harsh environmental and weather conditions for up to even ten years without costly maintenance. All the roof coating products that we use are tested and proven effective for various kinds of roofs. Our roof coatings are carefully selected from the best materials that can provide an effective protective layer against all sorts of damage including, leaks, UV rays from sunlight and even dents. In fact, our quality roof coatings are the most suitable option for avoiding the high costs of frequent roof repairs and maintenance. We offer roof coating services for all kinds of roofing materials used in homes and business premises. 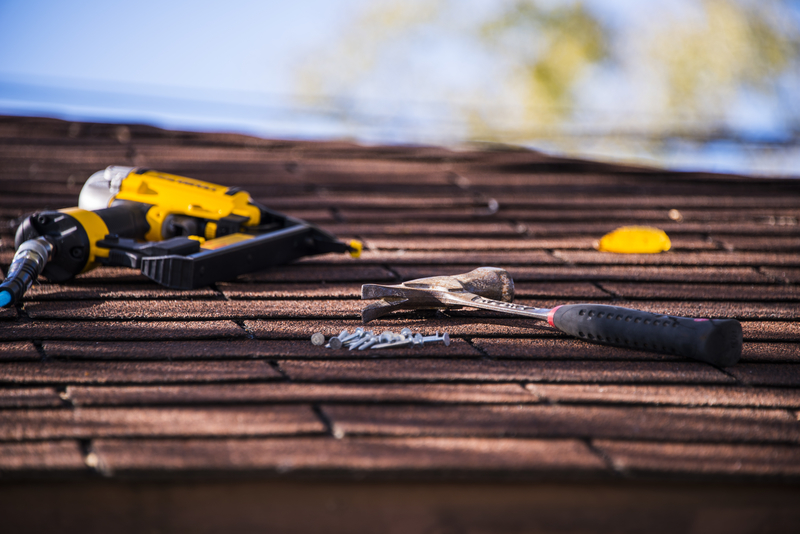 Whenever the problems on your roof are not fixed properly at the time they are noticed, there are usually higher chances you may need to replace parts or the entire roof. However, even the replacement can only go well if it is done by a professional. Instead of going through all the hassles, we also offer roof replacement solutions. After a thorough inspection of the roof, we will be able to advise you on the best approaches and, also conduct custom roof replacement to fix all the hitches at once. As a result our expertise and experience that we have in roofing work, we can always deliver tailor made solutions to revive the appeal and strength of your roof. We offer roof replacement for all kinds of roofing systems to enable every home or commercial property owner get just the right remedies. Even if you may need a unique roof material for the replacement, we can always go out of our way to find it. Our goal is to ensure that you are never faced with the task of replacing the roof anytime soon. Roof tiles and tile waterproofing are usually the most challenging to deal with when it comes to repair. In fact, even simple mistakes could have devastating impacts on your pocket and the integrity of the whole structure. Besides, roofing tiles are not very cheap to acquire. Thus, it is never a good idea to attempt working on roof tiles on your own whenever they are damaged. Our company has experts and the right materials to use in conducting safe and effective roof tiles repair. We can perform various forms of roof tile repair including, fixing broken tiles. After an evaluation of the condition of the tiles, we will be able to deliver a more suitable repair solutions to ensure that all the hitches are properly fixed. Through our tile repair services, you will be able to maintain a strong and appealing roof for so many years to come. Besides, our roof tile repair solutions will also help you save quite a lot of money in terms of roof maintenance. At Waterproofing Singapore, we always strive to deliver the best roof services that are tailored to the specific needs of every customer. In order to swiftly begin the process of your roof restoration, simply contact us for a free roofing work estimate. Besides, we also offer professional waterproofing solutions.